Bible References: 1 Timothy 1:20; 2 Timothy 2:17-18. Heart of the Story: Hymenaeus was an early Christian who Paul thought poorly of. Paul wrote to Timothy that Hymenaeus made shipwreck of his faith (1 Timothy1:20). He expelled Hymenaeus from the Christian church. Back Story: Hymenaeus was named after the god Hymen, the Greek god of marriage. Most likely he was a Gentile rather than a Jew. His home was Ephesus. 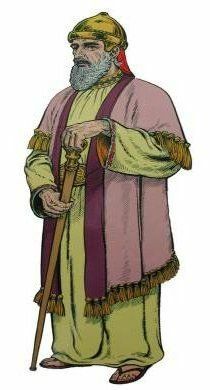 At one time Hymenaeus was a member of the Ephesian Christian church. In fact, most likely he was a leader in that church. In the Bible, he is mentioned twice ; both times with a colleague named Philetus (1 Timothy 1:20; 2 Timothy 2:17). Story Line: For some reason, Hymenaeus departed from the church belief that when Christ came again Christians who died would be raised from the dead and Christians who were alive at that time would be translated. “Translated” means that a living Christian’s physical body would change into an immortal form. Hymanaeus averred that the resurrection had already taken place. His position wasn’t the same as that of Sadducees, who believed there was no resurrection. Nor did Hymenaeus advocate that the resurrection was a resurrection only of the soul and not the body. The Bible doesn’t tell us where Hymenaeus got his peculiar belief about the resurrection; however, it certainly wasn’t from Paul or any known apostles, e.g., Peter, John. In 1 Thessalonians Paul documented that the goal of the New Testament church is the first resurrection, i.e., Christ said that “I will come again and receive you unto myself” (John 14:3). Pondering Relationships: Hymenaeus’s declaration that the resurrection already occurred spread like gangrene through the church and upset the faith of some believers. The last thing the early Ephesus church needed was a strong man and leader spreading blasphemy. Paul had to take action and he took very harsh action; Paul expelled Hymenaeus from the Christian church. Paul’s hoped that by expelling Hymeneaus, that Hymenaeus would change his belief. Regretfully, at no place in the Bible do we learn that Hymaneaus changed what he believed or taught. Reflection: About 20 years ago, a bishop was asked which we should accept: schism within the church or heresy within the church. The bishop responded that Christians need to do all we can to prevent schism even if that means we accept heretical beliefs in the church. Would Paul agree? Do you agree? Copyright January 18, 2016: Carolyn A. Roth; all rights reserved. This entry was posted in Uncategorized and tagged blasphemy, Ephesians, Hymenaeus, Lesser Known Bible Characters, Obscure Bible Characters, Obscure Characters, St. Paul. Bookmark the permalink.